Mead has a history of several thousand years. In Poland, mead production has always been distinguished by high quality and during the Middle Ages mead was one of the major Polish exported goods. Its high value was emphasised by the fact that mead also functioned as a legal tender and was as precious as gold. 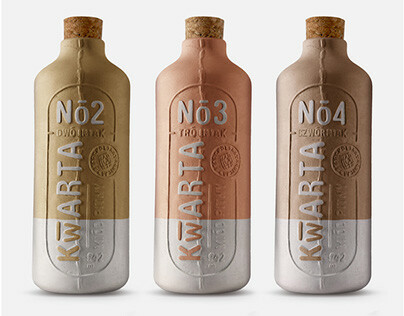 Kwarta has been produced to revive the dying mead production traditions. It is real, traditional mead. The past is an unexhausted source of inspiration. 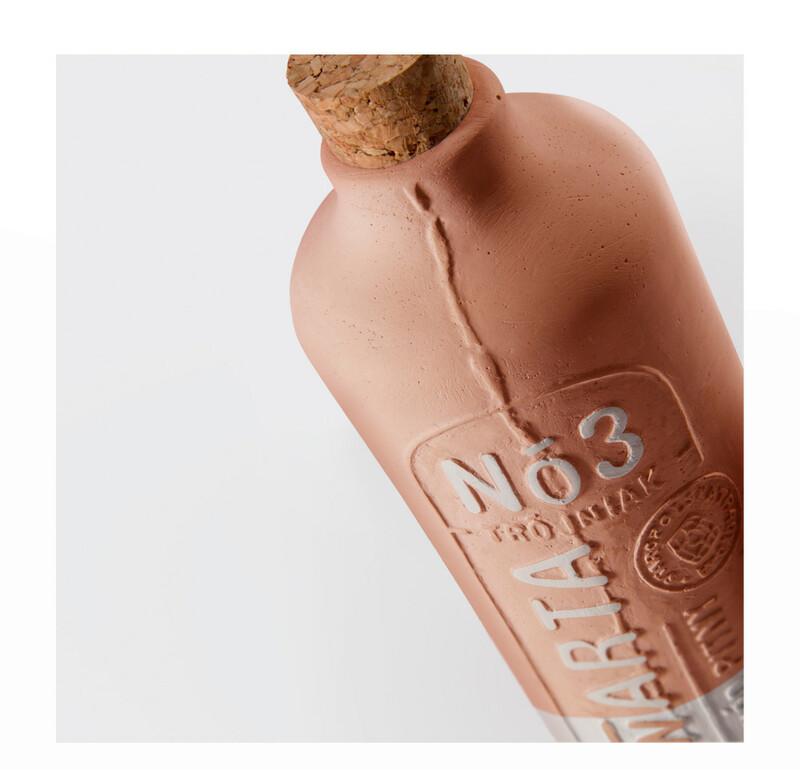 The relationship with the tradition often suggests the most intuitive and natural solutions. 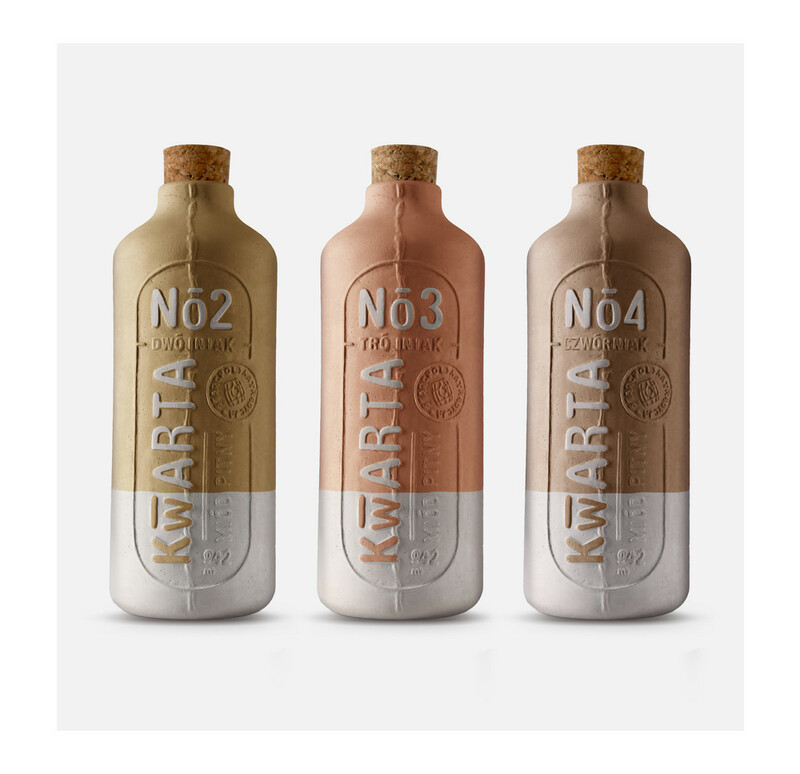 Kwarta was born out of tradition and is a dialogue of the past with the contemporary design. 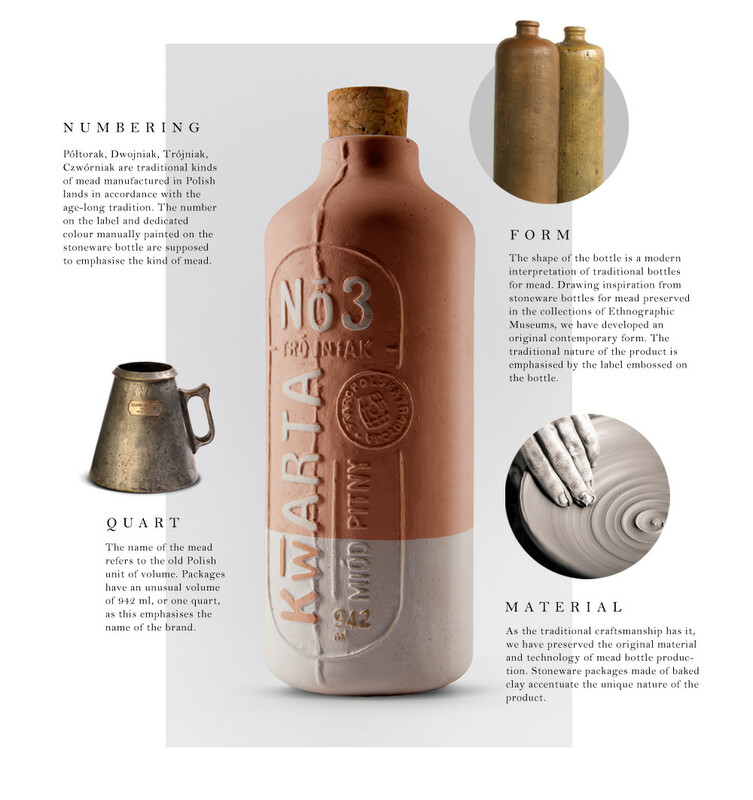 Kwarta reaches to the resources of the past and manifests respect for craftsmanship. It is an attempt to abandon monotony and industrial standardisation. 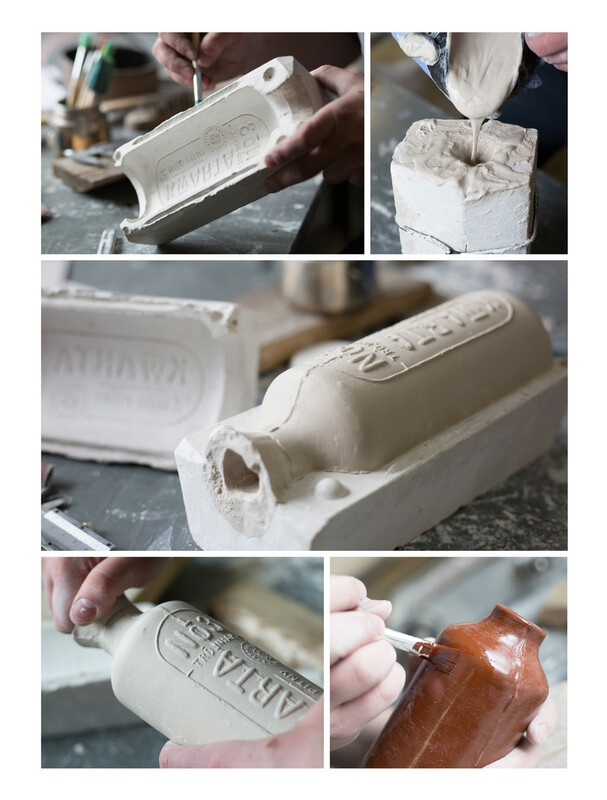 It is manufactured in a mini factory where traditional craftsmanship is revived and cherished and objects with soul are created. 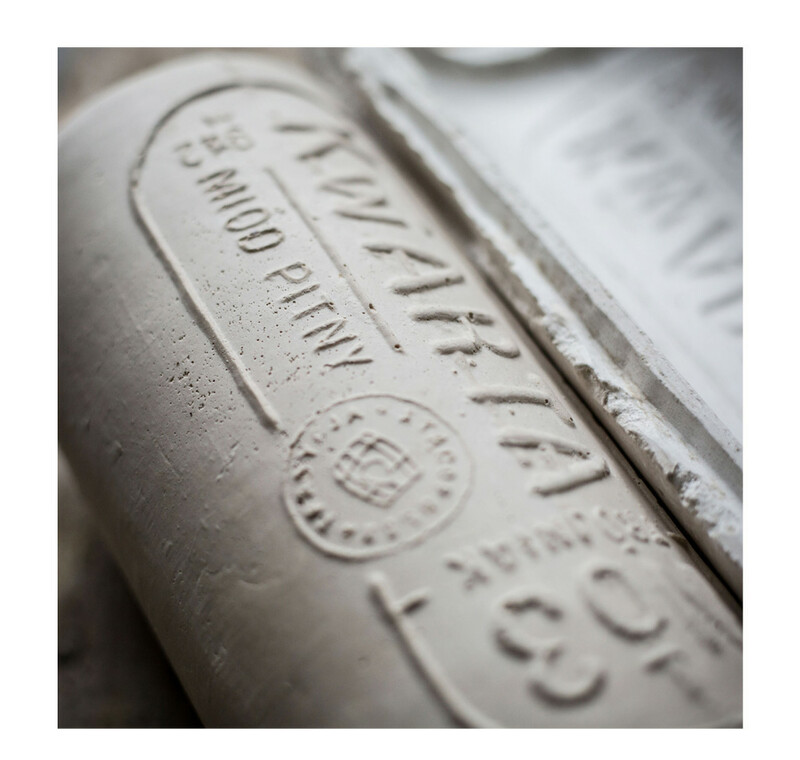 That is why a very important aspect was the opening of the natural process of burning stoneware vessels which are largely made by hand, in accordance with the oldest rules of craftsmanship. Thanks to this, each vessel is different and thus unique.